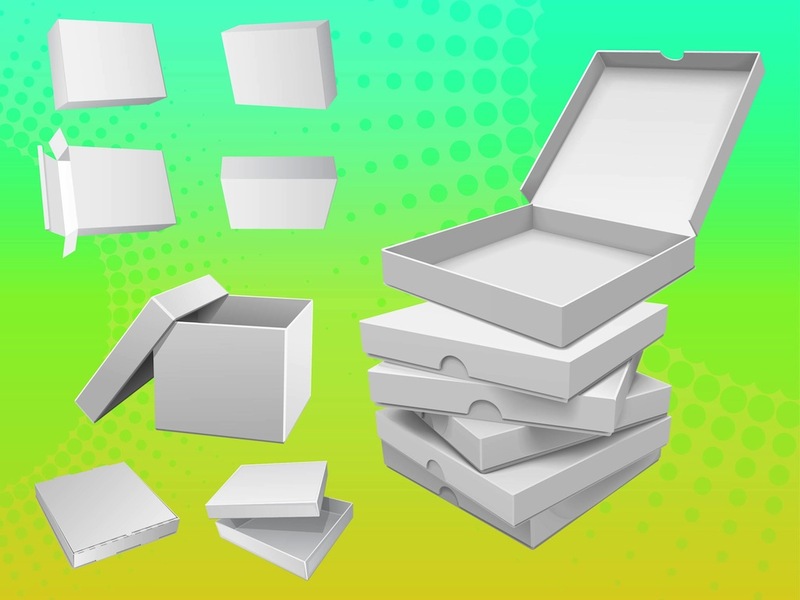 Vector image collection of various paper boxes. Plain designs with no logos or branding. Boxes used to deliver food or transport items. Free vector storage units illustration for all kinds of product catalogs and posters. Free vector images for all transportation, delivery and moving house design projects. Tags: 3D, Moving, Objects, Packaging, Paper, Pizza Delivery, Storage, Transportation.